Maximum size: 3 mm shell length. 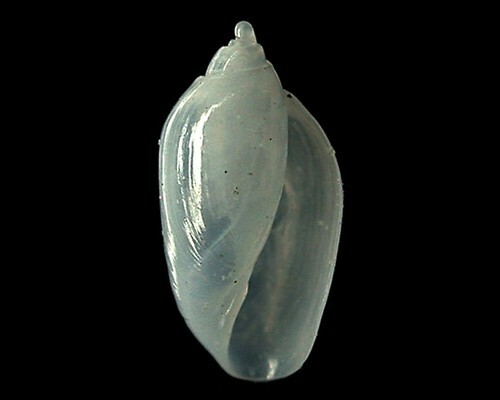 Identification: This acteocinid has a translucent, glossy-white shell with a broad aperture that distinguishes it from the shell of Acteocina sandwicensis. Natural history: Acteocina sp. #3 is known only from two shells found in beach drift at Midway Atoll. Taxonomic notes: First recorded in Hawaii from Midway Atoll by CP; from a sand sample provided by PF in June, 1993. Photo: CP: 3 mm: beach drift; sand sample provided by PF; Midway Atoll, June, 1993.